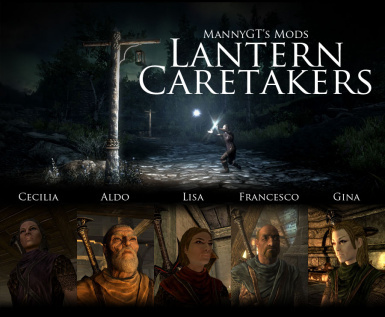 This mod adds 5 new NCPS: the "Lantern Caretakers". 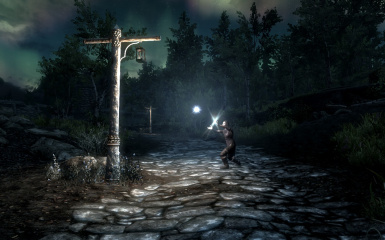 This mod is an add-on for "Lanterns of Skyrim - All In One" mod. 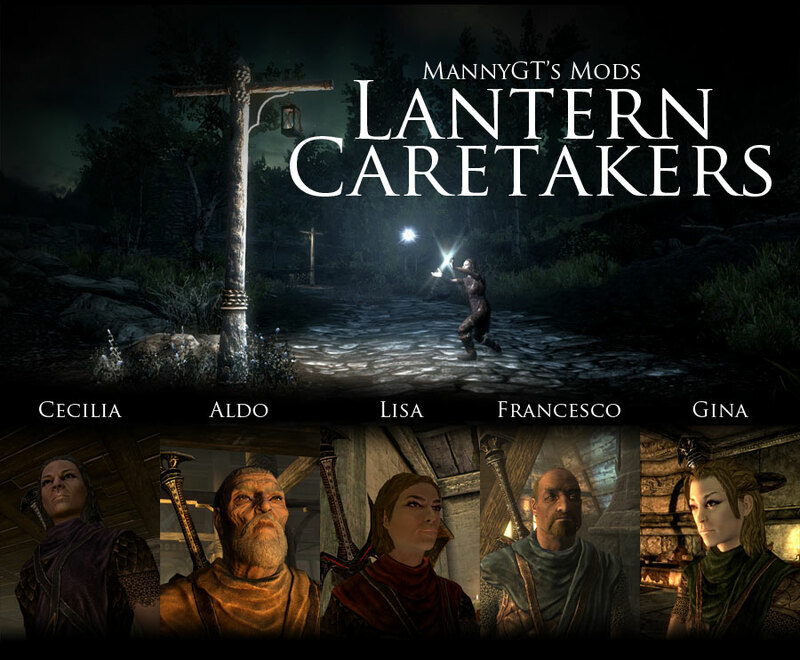 Many of the users of "Lanterns of Skyrim - All In One" mod asked me to make a "caretaker" about the lanterns. Well, I did it. This mod add five new NPCs: Aldo, Francesco, Lisa, Gina and Cecilia. All NPCs are the Lantern Caretakers. Firing up all the lanterns is quite expensive and impossible. For example, Gina, the caretaker of Markarth feud, would take some days to lit up all the lanterns! 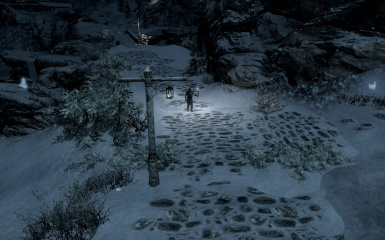 So the concept is that you will watch the scene of the last lantern to lit up by the NPC and so he goes to the nearest inn. To trig the scene you must pass some volumes from 7pm to 11pm of every day. 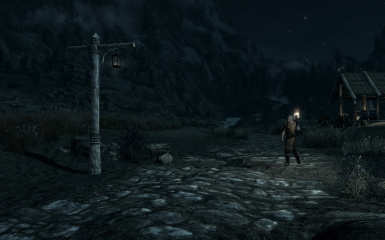 You need the Lanterns of Skyrim - All In One mod first or you'll get Instant-CTD. You can use NMM to install or you can do the manual installation by unpacking the ESP and BSA to the data folder of Skyrim. 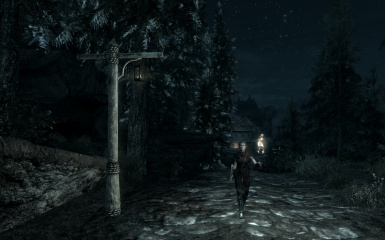 NOTE: If you are using the new v2.0 of Lanterns of Skyrim All In One, make sure to enable the "Enable lanterns along the roads" in the MCM menu. So be inside an interior, like an inn, house or dungeon, wait for at least 6 hours. Do a new savegame, exit Skyrim and remove the ESP and BSA files from your hard disk.